A variety of applications attempt to install Adobe Acrobat Reader into OS X, and many Mac users approve the installation and don’t think much of it. Typically when Acrobat Reader has been installed, it takes over the default PDF viewer that is built into Safari and uses a separate often slower Acrobat plugin for loading PDFs into Safari instead, and it also takes over as the default PDF viewer from Preview app as well. Some users may find these behaviors to be desirable, but other Mac users may be annoyed by the Adobe Acrobat Reader takeover of Safari, which is notoriously slow and cumbersome. We’re going to demonstrate how to remove that Acrobat Reader plugin from Safari and get the default PDF viewing capabilities back in Safari on the Mac. * Note that you can also choose to back these two AdobePDFViewer files up somewhere if you want to. We generally recommend deleting them, and should you decide you want to have Acrobat Reader plugin as the default PDF viewer within Safari again, download the newest version from Adobe Acrobat so that you are sure to have the most updated release installed on the Mac. While this returns the PDF viewing capabilities back to the speedy Safari default behavior, you may still find that PDF files open in Adobe Acrobat Reader elsewhere on the Mac. That’s also easy to change, and you can quickly set the Preview app to become the default PDF viewer again by making an easy adjustment in the Finder. Aside from the annoyance of having slow cruddy software takeover something unexpectedly, Adobe Acrobat Reader has also at times carried security flaws that could potentially make a Mac vulnerable to outside attack. For that reason, disabling or removing the plugin as part of a multi-step process to protect a Mac from external threats like malware, exploits, and trojans can make sense for some users. 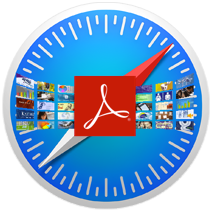 At the very least, keeping Acrobat Reader up to date is essential, and unlike the Flash plugin, the Acrobat Reader plugin does not become automatically disabled when it’s out of date. Removing the Adobe PDF Viewer plugin is also exactly what you should do if PDF viewing completely fails in Safari, which is a very common problem that I see in IT. Someone installs Adobe Acrobat Reader on their Mac (who knows why), then a few versions pass, Safari gets updated, and suddenly they are unable to open PDF files in Safari at all. Time to call IT! 9/10 times it’s because of that Acrobat Reader plugin, which leads me to believe that it’s best to DELETE IT and DO NOT INSTALL IT at all! Adobe produces crud for their “free” software. Flash and Acrobat Reader are complete garbage that is routinely problematic, while Adobe CC is amazing and an excellent product. I’m not sure how to explain that discrepancy. You are so right-on: Flash and Reader are bloated pieces of sh*t — and even after strongly recommending to my clients that they NOT install these, and instead use Chrome for Flash content & Preview for PDF viewing, 100% of them will have both applications installed the next time I check their computers. As to your query “who knows why” — it’s because every f*cking irresponsible web page out there will have “You need Adobe Reader” or “You need Adobe Flash” to view this content…and people just believe it, and accept it. Dan asks why anyone would install it…well some Finance companies want you to .Just been trying to open an Isa and need to download A A Reader on my new IMac , apparently so I can get their PDFs etc. So I’ve chosen not to but now having to find another savings provider !! 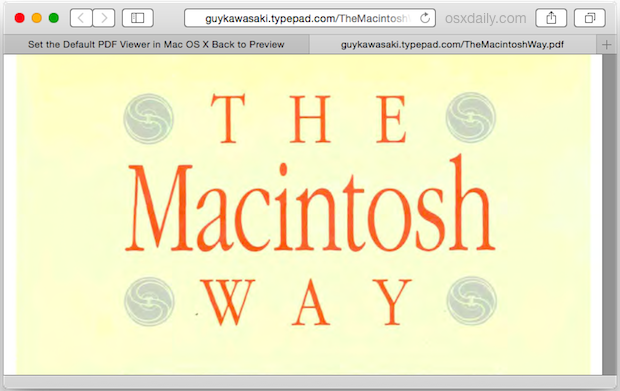 For everyday PDF browsing Apple’s PDF viewer/Preview may be quick and fine, but it does a horrible job with some PDFs. Forms, in particular, often render very poorly with Apple’s viewer but many things half-way complex are just plain inaccurate view with the Apple stuff. Yes, Adobe reader has issues of its own but for me at least it’s a necessity. For me I just find Reader and Acrobat are unusable to even READ DOCUMENTS on the Mac itself! I’m always getting the spinning wheel cursor whenever I do ANYTHING with the mouse in the document (like selecting text to copy it, or just clicking and dragging or anything else which is NORMAL to do when browsing a PDF document! ), and I’ve had to make Preview the default PDF reader on Mac out of sheer frustration!!! Unbelievable! I’d uninstall them both if I didn’t have to actually deal with the PDF format! Isn’t it easier to go to Finder> Go Menu and tap on Options to get to the user’s Library. A mistake in entering the following path exactly could lead to trouble. First of all, Thank you for these precious informations, it’s great to have people like you to helps us. Now, I agree 100%, and actually, I wish Apple had never changed Preview, it used to be a lot better back in the days, on the first or second version, they just need to upgrade, that’s all. It was an amazing software. If you can give me a feedback, why it does not work, I really appreciate, because if it’s just a problem with this one, for some reason, I’ll keep the changes I did. I really prefer preview over adobe. Thank you so much. I’ve been trying to remove this for days! You’re instructions are clear and they work!